Post regarding/relating to the different movement forms that help make up Nia. 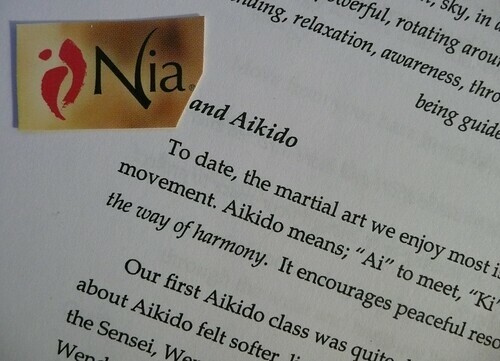 As you might now be aware Nia includes elements from three different movement forms from three different arts. One of the arts is the healing arts and one movement forms is The Alexander Technique. 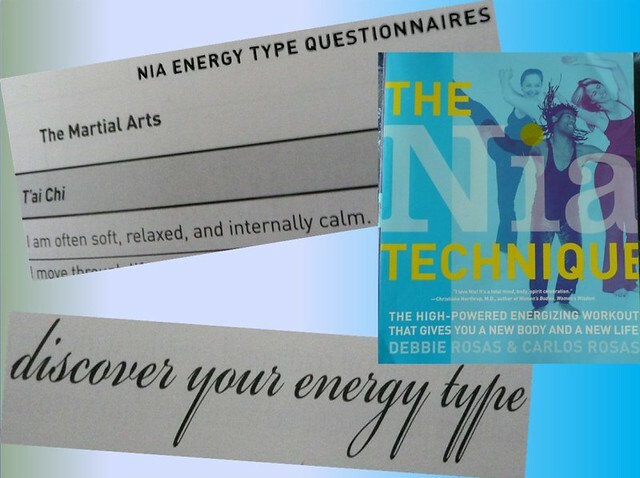 When I think of evoking the energy of The Alexander Technique as I lead the Nia workout, I always think of moving from the head and allowing heaven’s gravity to pull up. With the pull from above it enables a sense of lightness, of not being heavy and of moving from the top. Also this pull helps open the vertebrae and lengthen the posture. With the sensation of lightness and lengthening might come a sense of freedom and openness to be silly. While we experiment with the lifting of the head from the body, we can observe how our posture might be more upright. I have a habit of hunching my shoulders. I call it scrunching because I tend to hunch and round my shoulders at the same time. With some borrowed concepts from the Alexander Technique I am reminded to straighten and lengthen and use the muscles of my back to pull my shoulders down. Even though the focus is on the head and it moving upward, it allows me to think of the rest of my posture. With these ideas we look as we move, again moving our head away from our bodies. Sometimes we move our hands and allow our head to follow by looking at our hands. But we MOVE our head to watch our hands, we don’t just let our eyes follow, it is a movement. The movement of the head gets our spine moving too. 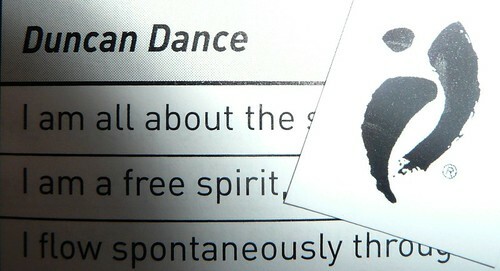 When I first started teaching I had a student move her hands around and had her follow them with her head and eyes. She would practice this during class. After a couple of classes she came back and said she was a better driver now because she had never moved her head before and now she was actually turn her head to look as she drove. Funny, I had never thought about Nia helping people be better drivers. If you are not accustom to moving your head and you want to try it, I recommend that you first try this exercise sitting down. Just sit and move your hands as if they were a bird or a butterfly, and allow your head and your eyes to follow them as they fly around you. Once you feel comfortable with that, try it standing up. But be careful because if you are not used to it you may get dizzy. Since the head is the heaviest part of the body it is important that we can stay on balance when it moves. It is important to build the strength to move it and muscle memory of what it is like when it is moved. 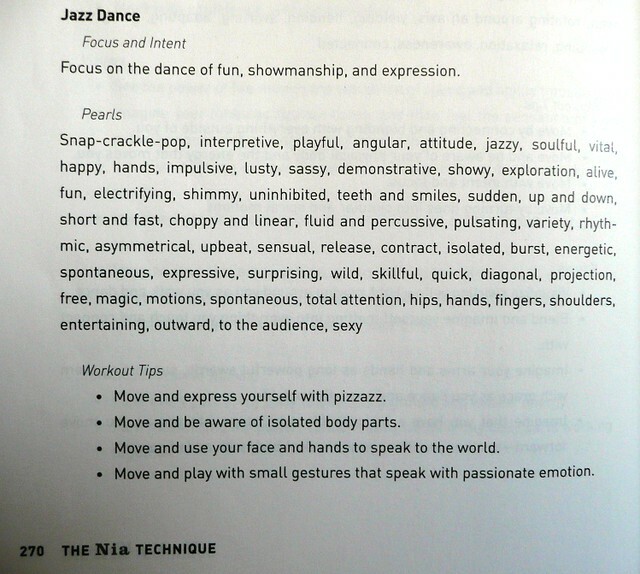 All of this will help your dance and your general everyday movement.